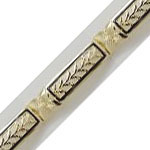 Solid 14k Gold Hawaiian Heirloom Two-tone Bangle Bracelet. 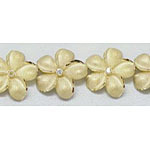 Made in Hawaii. 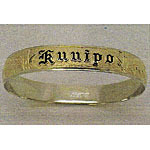 Solid 14k Gold Sweetheart Hawaiian Identity Bracelet Black Enamel. Made in Hawaii. 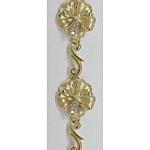 Solid 14k Gold Sweetheart Hawaiian Identity Bracelet Raised Gold. Made in Hawaii. 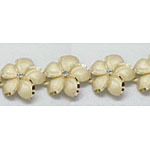 Solid 14k Gold Plumeria Hawaiian Bracelet with Satin and High Polish Finish. Made in Hawaii. 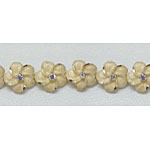 Solid 14k Gold Plumeria Hawaiian Bracelet with Black Enamel Border. 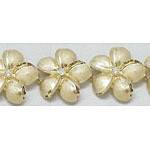 Made in Hawaii. 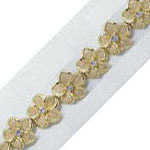 Solid 14k Gold Two-Tone Plumeria Hawaiian Bracelet with Sand Finish. Made in Hawaii. 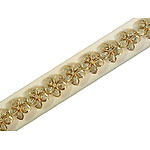 Solid 14k Gold Bamboo Hawaiian Bracelet. 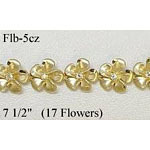 Width is 8 mm. 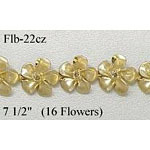 Weighs approximately 13 grams for 7". Made in Hawaii. 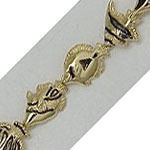 Solid 14k Gold Deluxe Two Tone Nautical Hawaiian Bracelet . 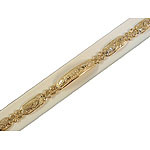 Weighs approximately 11.6 grams. Made in Hawaii. 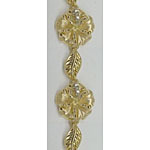 Solid 14k Gold Hibiscus Hawaiian Bracelet . Weighs approximately 22.7 grams. Made in Hawaii. 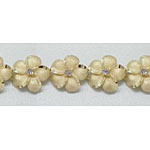 Solid 14k Gold Hibiscus Hawaiian Bracelet . Weighs approximately 19.3 grams. Made in Hawaii. 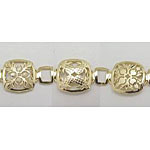 Solid 14k Gold Maile Link Hawaiian Bracelet with Black Enamel Border. Weighs approximately grams. Made in Hawaii. 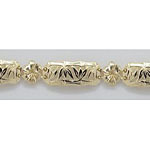 Solid 14k Gold Millennium Hawaiian Bracelet . Weighs approximately grams. Made in Hawaii. 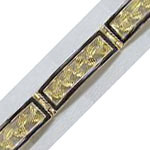 Solid 14k Gold Royal Maile Hawaiian Bracelet with Black Enamel Border. 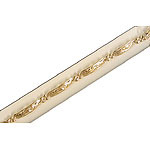 Weighs approximately 9 grams. Made in Hawaii. 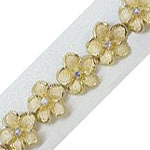 Solid 14k Gold New Plumeria Hawaiian Bracelet . Weighs approximately 21.9 grams. Made in Hawaii. 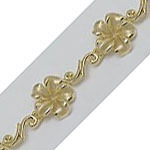 Solid 14k Gold New Plumeria Hawaiian Bracelet . Weighs approximately grams. Made in Hawaii. 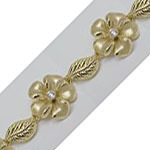 Solid 14k Gold Original Plumeria Hawaiian Bracelet . Weighs approximately grams. Made in Hawaii. 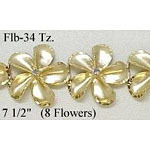 Solid 14k Gold Original Plumeria Hawaiian Bracelet with 8 flowers for 7 1/2 inch length (less flowers for shorter, more flowers for longer). 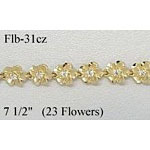 Weighs approximately 28 grams. Made in Hawaii. 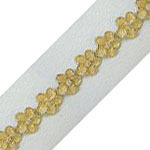 Solid 14k Gold Quilt Hawaiian Bracelet . 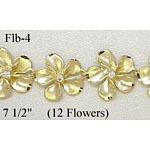 Weighs approximately 14 grams for 7". Made in Hawaii. 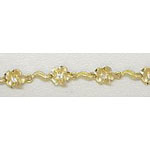 Solid 14k Gold Rayal Plumeria Hawaiian Bracelet . Weighs approximately grams. Made in Hawaii. 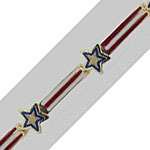 Solid 14k Gold Stars and Stripes Hawaiian Bracelet . Made in Hawaii. 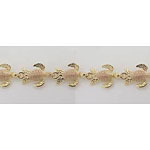 Solid 14k Gold Tropical Fish Hawaiian Bracelet . 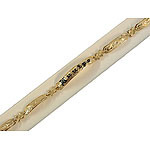 Weighs approximately 10.6 grams. Made in Hawaii. 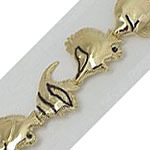 Solid 14k Gold Tropical Fish Hawaiian Bracelet . 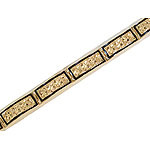 Weighs approximately 10.8 grams. Made in Hawaii.